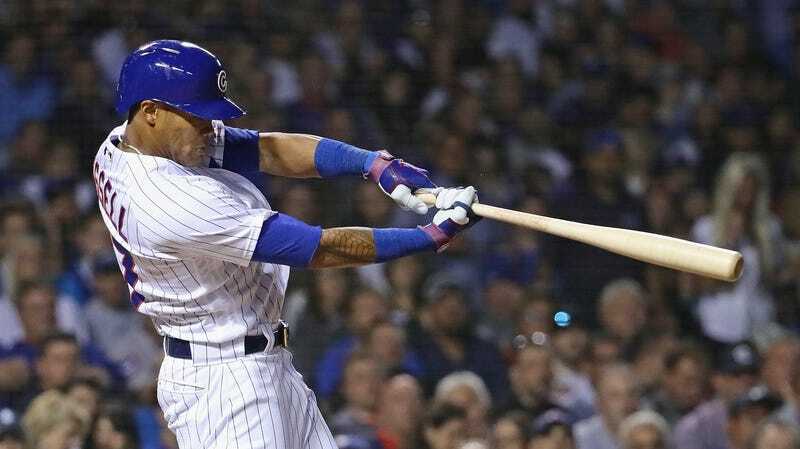 Chicago Cubs shortstop Addison Russell was suspended 40 games by MLB last year for violating the league’s domestic violence policy. The suspension followed his ex-wife, Melisa Reidy-Russell, sharing details of the abuse she says she suffered at Russell’s hands while they were married. Now, another woman, Mallory Engstrom, who is the mother of one of Russell’s children, is telling her own story about Russell’s mistreatment of her and her daughter. I can’t even begin to understand how someone is objecting to a childcare expense knowing they have zero responsibility in physically caring for the child. Since he abandoned us, thinking the grass was greener, about 4 1/2 years ago, I’ve never once been able to rely on my daughter’s father to care for her in a time of need or while I am working. He is absent from our daughter’s life for months at a time & yet he goes out of his way to make me struggle while I raise her on my own. His team of “advisors” feel they have the power to disobey a court ordered agreement just to save him a few bucks. It’s disgusting to know my daughter’s care and well-being isn’t a priority, the only goal is to decrease a money expense. How does someone continue to keep having children while neglecting to be an active, involved father to their first born’s life. I’ve taken the high road and kept quiet for years now. My daughter’s father has even gone as far to have the #cubs block me from social media as an attempt to silence me. I’m exhausted from my kindness being taken as a weakness. I’m sure the term loyalty is an unknown concept to him but trust me, it will be understood when I’m no longer loyal to people who take advantage of it. fun fact of my journey: about 3 years ago from today I was paid a portion of my child support in quarters and single dollar bills. About $600 total that I had to pack up and fly back home with. I remember being so confused how a family whom I genuinely cared about, could “love” Mila and I so much could sit back and stay silent. An event I forgave them for but have never forgot. That same trip I vividly remember shopping in toys r us for a Christmas gift for Mila’s little brother when I received a text message stating that my daughter smelled like “musk” and “dog poop” among other things as a result of my care. This event triggered my first anxiety attack which have only been increasing throughout the years. I called my moms best friend, I sat there and balled my eyes out and told myself I’d pick up my daughter & take the next flight out. We just kept talking to god and praying until I got everything out. Russell will begin serving his MLB suspension this season.